Dress up sausage on a bun by using a freshly baked baguette that is perfect for soaking up all the delicious juiciness of the grilled brats. Preheat your Evolve grill on Setting 4. Whisk together beer, 2 tbsp of the mustard and honey. Grill sausages, basting often, for about 20 minutes or until cooked through. Toast baguettes during the last 5 minutes of cooking. Spread evenly with remaining mustard. 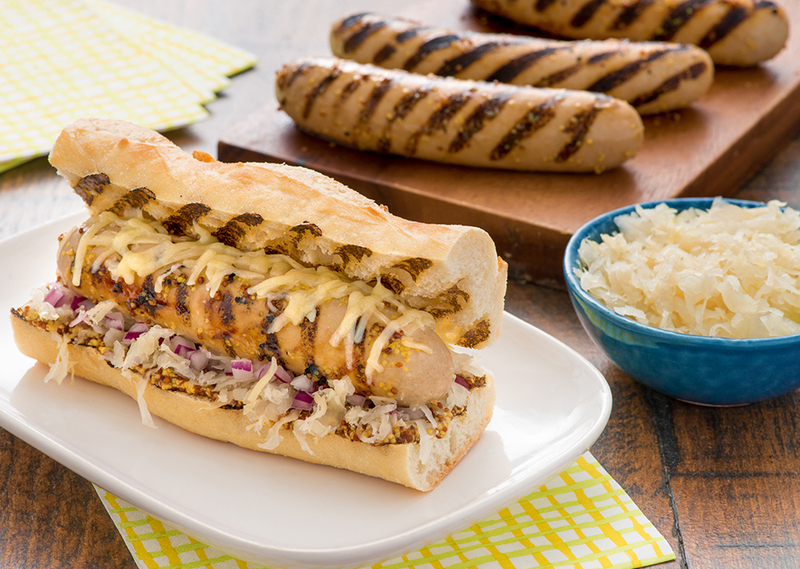 Serve bratwurst in baguettes with sauerkraut, Cheddar cheese and onion.